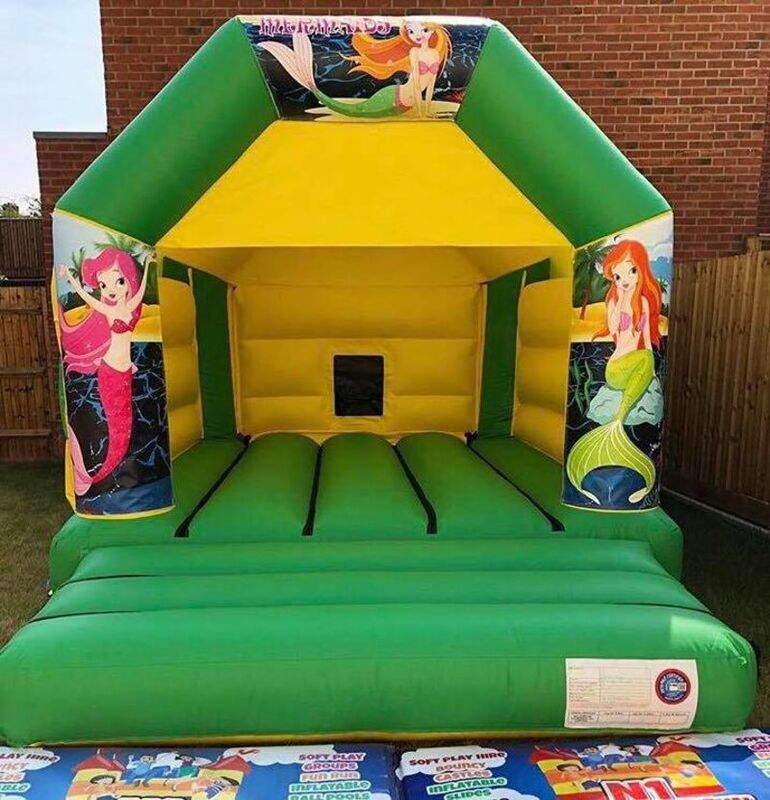 Check Out Our Range Of Inflatables Available To Hire! Thank you so much for fitting us in yesterday, the castle was a huge success and absolutely perfect to find a toy story one at that at such short notice!! It was a perfect spot under the trees. Such an amazing service from start to finish, thank you very much for making my daughters first birthday, the kids loved everything, the roller coaster and the slide on the castle was fab! One very happy Customer thank you! Great Service and very friendly staff, definitely recommend. The kids had a really great day on the Bouncy Castle Yesterday. The roller coaster was so popular, there was a queue like thorpe park for it. Thank you. Green and yellow Mermaid Castle. Please note that this castle can have any themed panels of your choice.